As part of our holistic approach to tackling Duchenne, we aim to nurture young talent in the field of Duchenne research. At the end of 2010, we announced a partnership with the Howard Hughes Medical Institute (HHMI) to fund a medical student undertaking research in a field related to Duchenne muscular dystrophy. The Fellows Program enables medical, dental, and veterinary students attending schools in the United States to spend a year conducting basic, translational, or applied biomedical research at any school or non-profit research institution in the US. 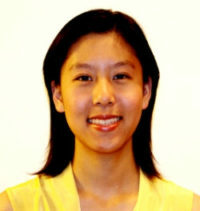 Our current grant holder is Harvard Medical School student Kathy Wang (pictured), whose research project is entitled ‘Intervening in Regulatory T Cell Signaling in Muscular Dystrophy via IL-33’. I would like to express my immense appreciation for your support of my research through the HHMI Medical Research Fellows Program. I am thrilled for the opportunity you have provided to contribute to the critical need to develop a cure for Duchenne muscular dystrophy as I pursue my aspiration of becoming a physician-scientist. As I am nearing the end of my pre-clinical training as a second-year MD candidate at Harvard Medical School and transitioning into the clinic, I am anticipating a shift in my priorities in learning and discovery; from understanding disease from a scientific, mechanistic perspective, to taking care of people and understanding how illness is affecting their day-to-day lives. Because of your generous support, I will have the benefit of first pursuing my belief that there is not such a stark gap between the science and art of medicine, but rather that each influences the other; observations in the clinic can inform scientific ideas, and new discoveries in the lab can become new therapies for illness that currently have devastating outcomes, such as muscular dystrophies. I expect that this experience will greatly benefit and inform my goal of improving medical therapies as a physician-scientist. This coming year, I look forward to pursuing full-time research in the lab of Dr. Diane Mathis and Dr. Christophe Benoist, where I will probe how the muscle-specific regulatory function of the immune system is altered in muscular dystrophy, and determine if the IL-33 cytokine can promote regeneration of muscle and limit inflammatory destruction. Your generous support will enable me to focus on understanding the fascinating and interconnected signaling systems within skeletal muscle that contain many opportunities for discovery and progress, while being a part of a supportive community of mentors and peers within the HHMI community. Thank you again for your generous and motivating support, and for igniting my pursuit of a career as a physician-scientist. I will wholeheartedly pursue the goal of contributing to better treatments for Duchenne muscular dystrophy and other neuromuscular diseases in my year of research and throughout the rest of my medical training and career. In 2013 we awarded funds to Dr Irina Shklyar at Yale University, Connecticut. She was studying ways to assess muscle health in Duchenne boys using ultrasound, eliminating the need to cut out successive samples of muscle for testing. Dr Shklyar presented her work at the American Neurological Association Conference in New Orleans in October 2013 and at the Action Duchenne International Conference in London in November where she won first prize for her work. I was honoured and thrilled to receive the Duchenne Research Fund-Howard Hughes Medical Institute Medical Research Fellowship. In the Rutkove Lab at Harvard Medical School, I sought to identify clinically meaningful surrogate markers of disease severity in Duchenne Muscular Dystrophy. These surrogate markers of disease may have applications for future Duchenne clinical trials. Electrical impedance myography (EIM) and quantitative ultrasound (QUS) represent two portable, rapid, and non-invasive approaches to measure disease outcomes in clinical trials that may surpass functional tests currently in use. Although functional measures such as the North Star Ambulatory Assessment and Six Minute Walk Test are useful, they are limited by young boys’ effort and mood. They also limit the ages of boys who can be enrolled in trials and exclude young boys and those that are in wheelchairs. The measures we studied were objective and effort-independent and thereby circumvented some of these limitations. Through the generosity of the DRF, I was able to attend the Action Duchenne 12th International Conference in London. This afforded me the opportunity to interact with the Duchenne community, including parents and scientists, and present our work. I was fortunate to receive the Action Duchenne 12th International Conference First Prize Poster. I was also able to present research at the 61st Annual American Academy of Neuromuscular and Electrodiagnostic Medicine (AANEM) Annual Meeting, and I was awarded the 2014 Golseth Young Investigator Award. These opportunities to conduct and share our research would not have been possible without the DRF, and I remain incredibly grateful. This is an exciting time to develop objective, safe, and sensitive measures of disease progression as new candidate therapies for DMD emerge in the pipeline. I look forward to the immense strides in the care of Duchenne patients that I hope to see in my lifetime. Catch up on the latest developments in the projects we fund.